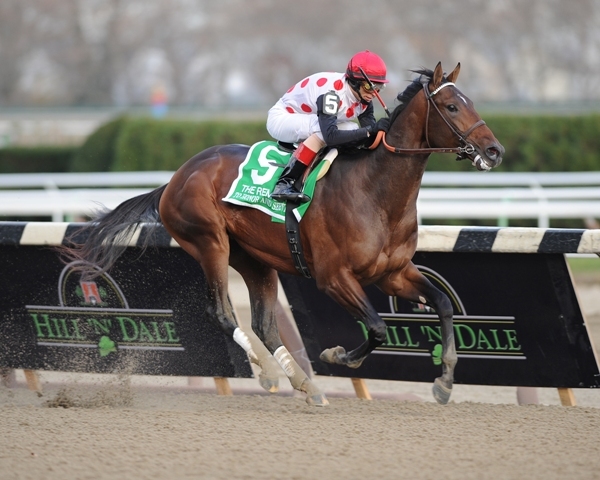 This wasn’t the first time an Edward P. Evans’ runner and Victor’s Cry have teamed up to win graded stakes. On Memorial Day, Evans’ Quality Road won the Grade 1 Metropolitan and a few hours later Victor’s Cry won the Grade 1 Shoemaker Mile. 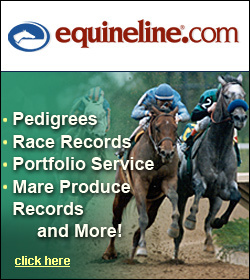 The Maryland Racing Commission on Monday rejected plans by the owners of Laurel Park and Pimlico Race Course to run a sharply curtailed schedule of live racing in the state in 2011. 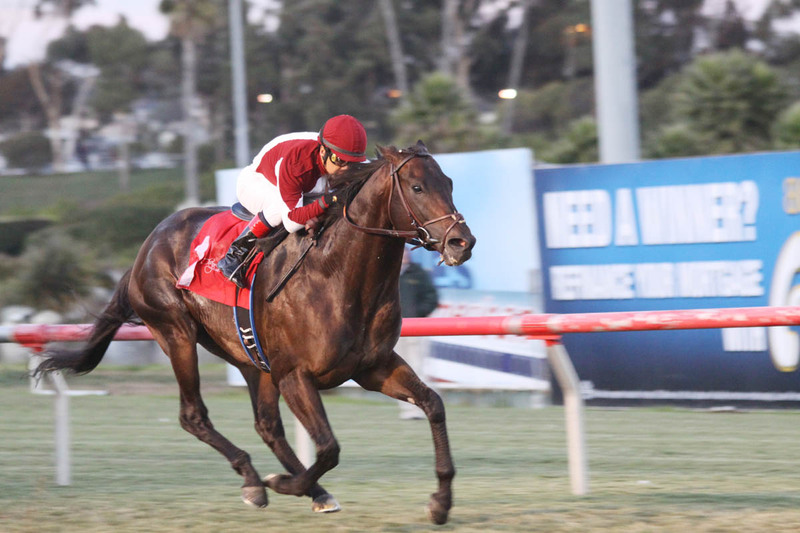 Autumn Affair (f, 3yo), Black Tie Affair (IRE) – Gold Leaf by Slew O’ Gold. B – Holly Ridge Farm, LLC. Charles Town, 11/26/2010, alwc, $16,200, 7 f, 1:29.35. Dixie City (f, 2yo), Dixie Union – City Sister by Carson City. B – Edward P Evans. 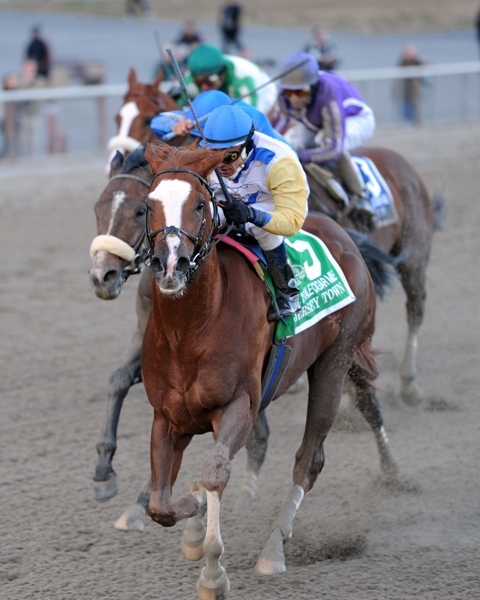 Aqueduct, 11/27/2010, gr 2 stk, $120,000, 9 f, 1:52.84. 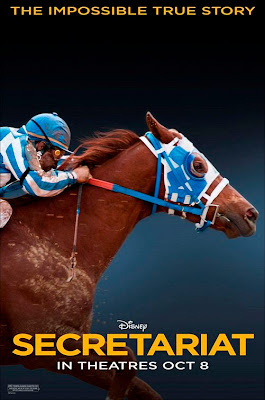 Big Red slid down the movie ladder from 11th to 17th in the weekend Box Office Derby with a gross of just $647,172. The Disney films overall take is now up to $57,547,263. The newest Harry Potter continues to wire the field with a total box office of over $219 million in just two weeks. 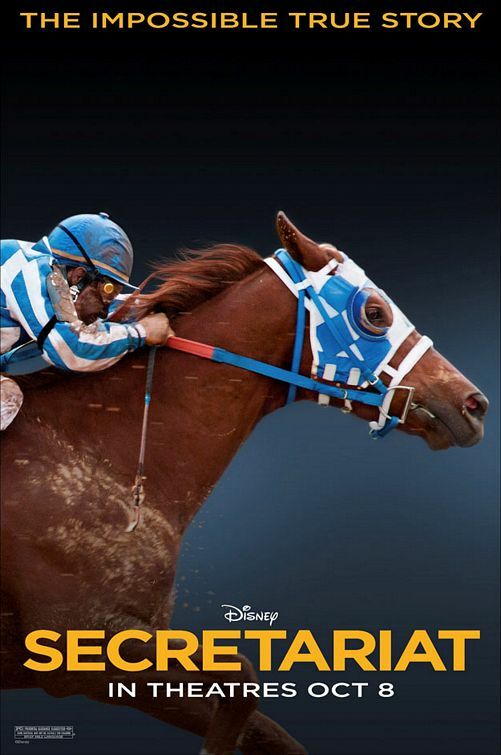 Big Red remained mired in 11th place this weekend in the Box Office Derby with a gross of $979,909. The receipts up the Disney films overall take to $56,378,503. The newest Harry Potter movie wired the field with a weekend box office of over $125 million. Buster’s Ready (f, 2yo), More Than Ready – Beatem Buster by Honour And Glory. B – Edward P Evans. Aqueduct, 11/18/2010, mdn clmg, $20,160, 8 f, 1:38.97. 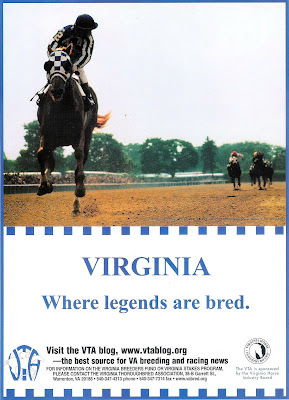 E Z Daisy (f, 5yo), Fred Astaire – Wild Magnolia by Apalachee. B – Virginia Tech Foundation, Inc. Charles Town, 11/20/2010, mdn clmg, $7,800, 7 f, 1:31.56. First Colony (f, 4yo), Proud Citizen – Anagalia by Cherokee Colony. 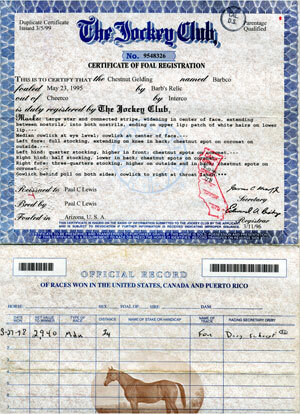 B – Audley Farm, Inc. Charles Town, 11/20/2010, clmg, $6,600, 7 f, 1:30.64. “Chasin’ for Chalfin” has been established to aid steeplechase rider Jake Chalfin, who was severely injured when he fell at the Blue Ridge Fall Races in Berryville, Va., on Sept. 18. Chalfin is paralyzed from the chest down and is facing significant long-term expenses associated with his special needs. A fund raising party and auction, Stealin’ the Start, will be held at The Stone Barn in Kennett Square, Pa., on Dec. 4. For more information or to make a donation, go to http://www.chasinforchalfin.com/. The Jockey Club reminds owners of unregistered yearlings and 2-year-olds that the requirements for foal registration must be completed by December 31, 2010, to avoid additional late registration fees. 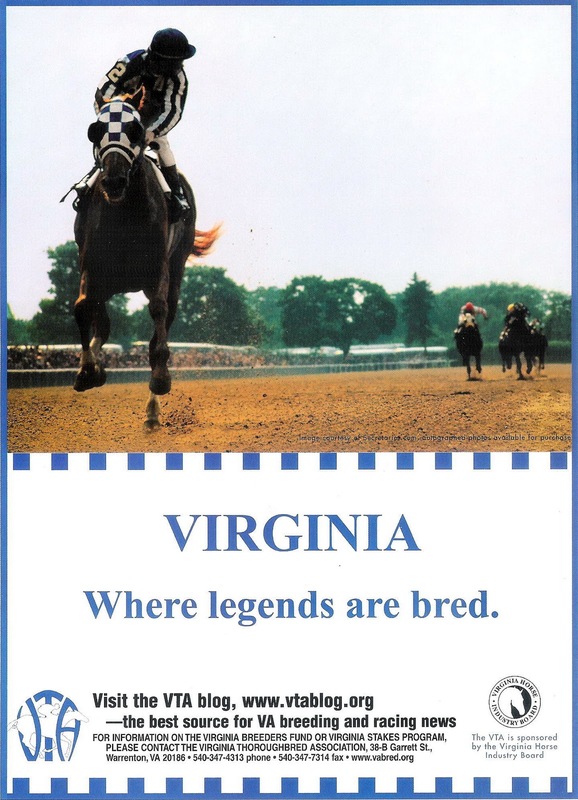 In addition, registration for Virginia-bred foals is due the same day for eligiblity in the Virginia Breeders Fund.